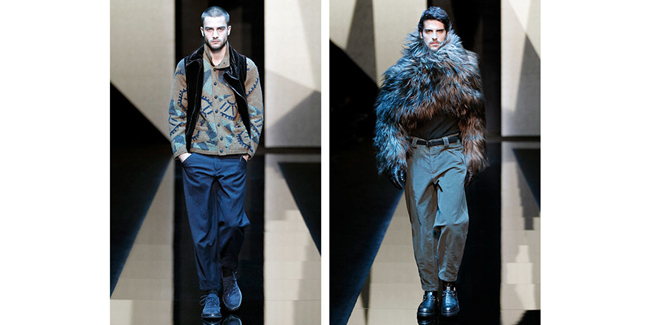 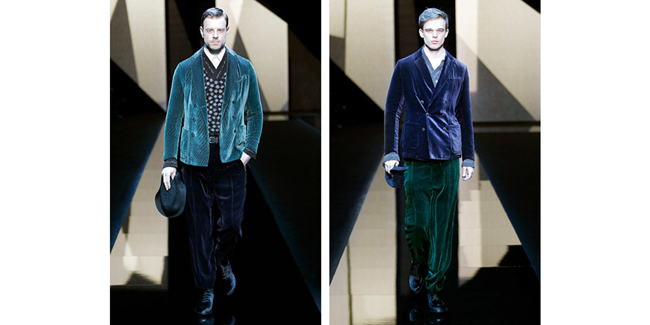 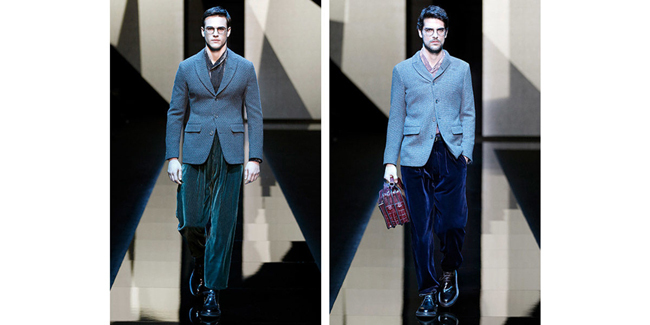 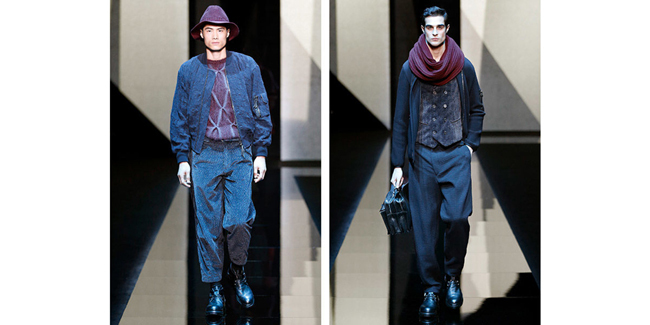 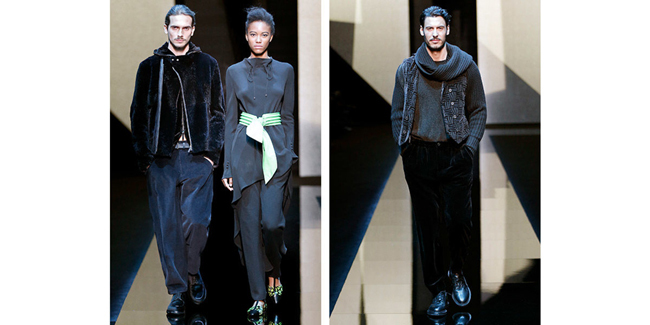 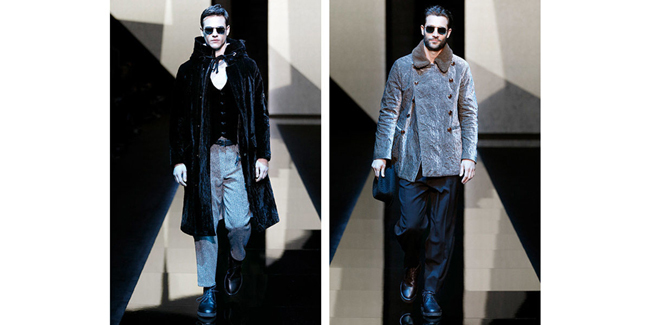 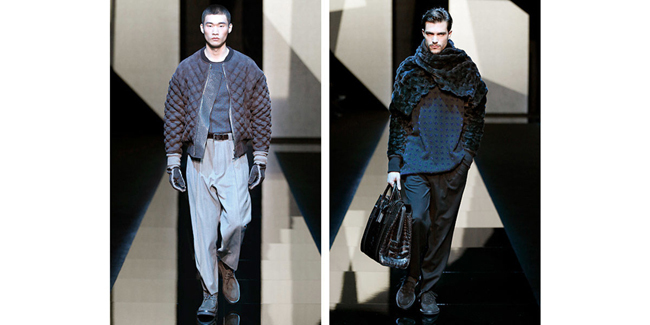 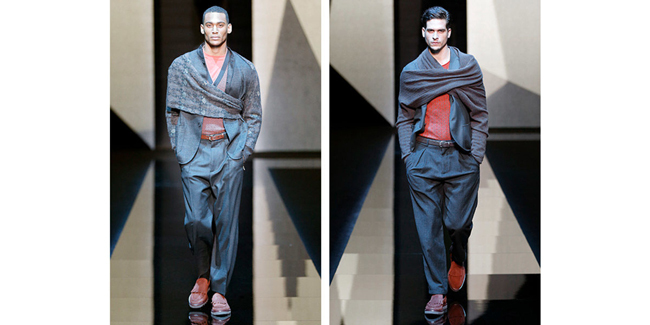 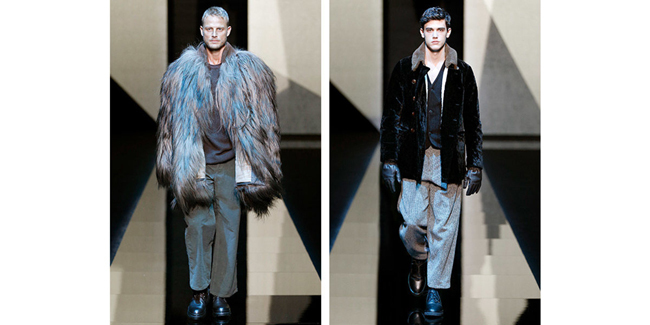 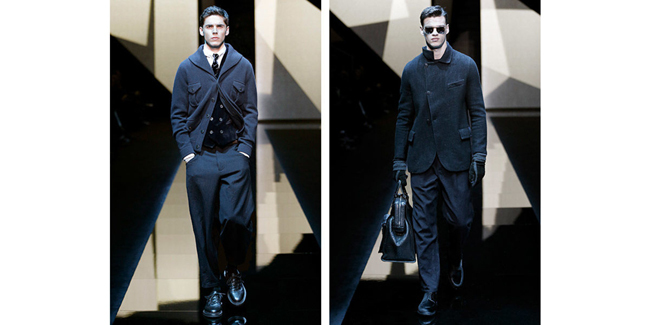 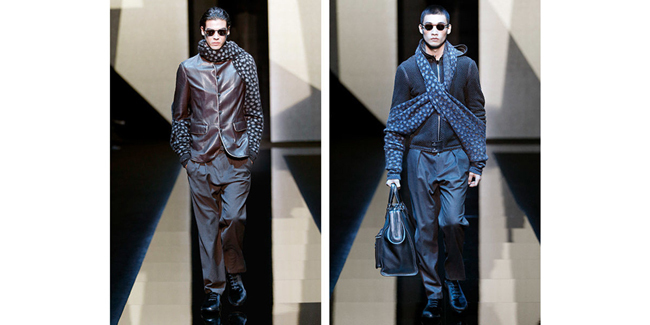 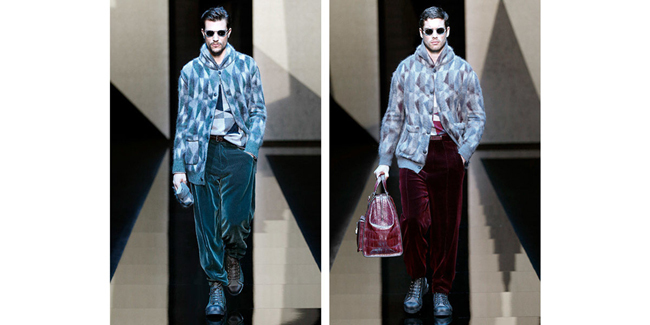 This season, Giorgio Armani is working on classics, evolving codes to define an idea of elegance tuned-in to the present, but rich with heritage . 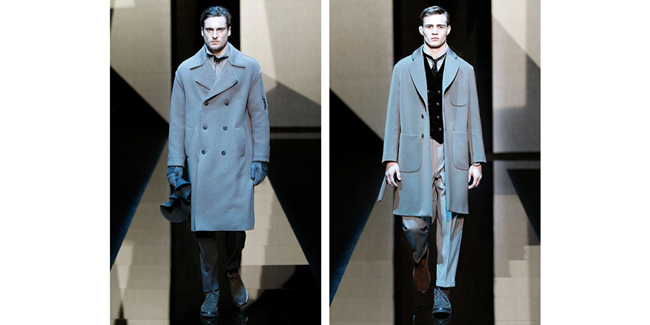 Texture and silhouette are the key elements of Giorgio Armani’s research: the body, with its individual, unique beauty, is enhanced by the clothes of the new collection. 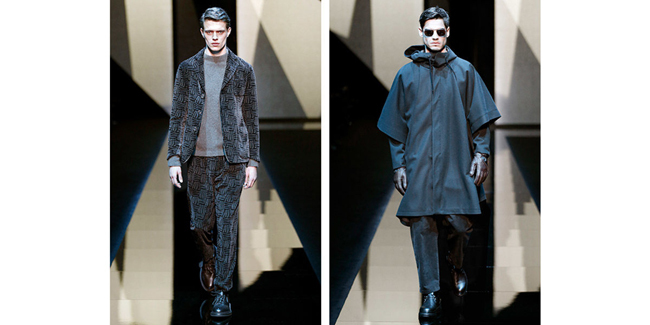 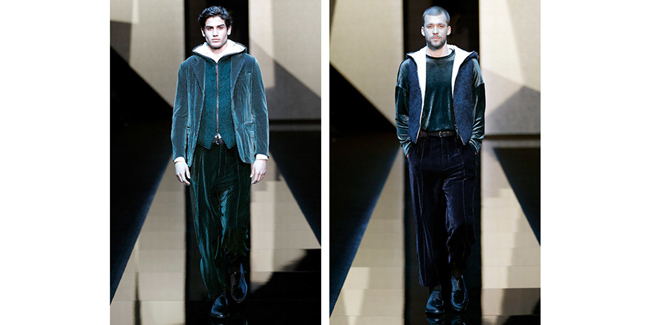 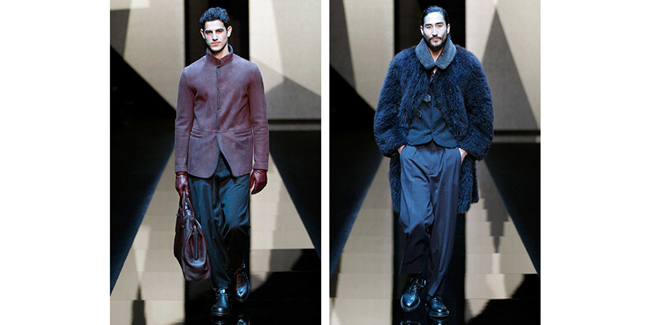 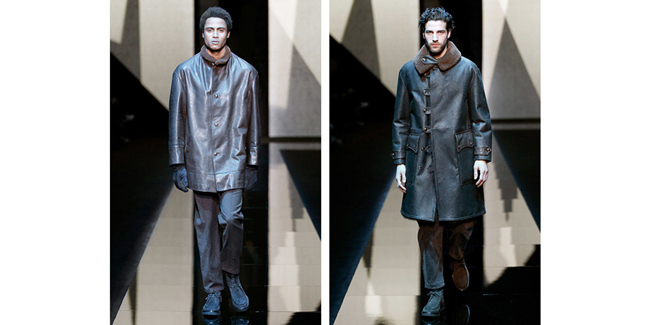 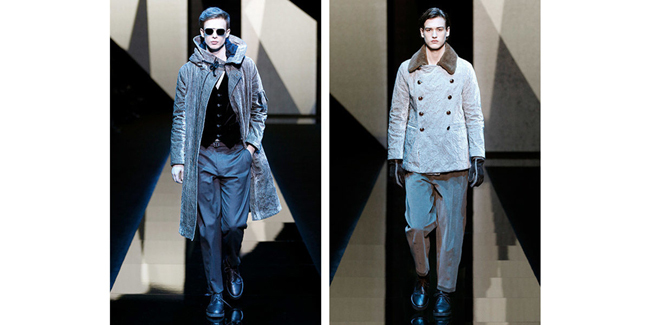 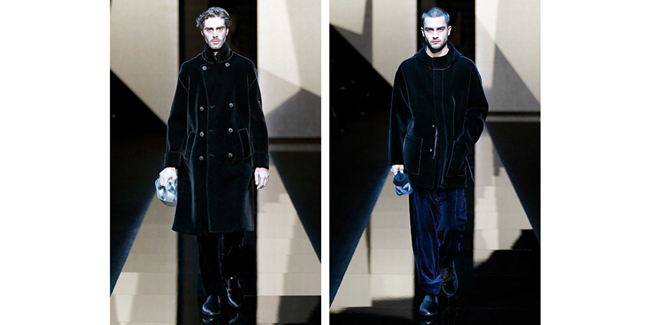 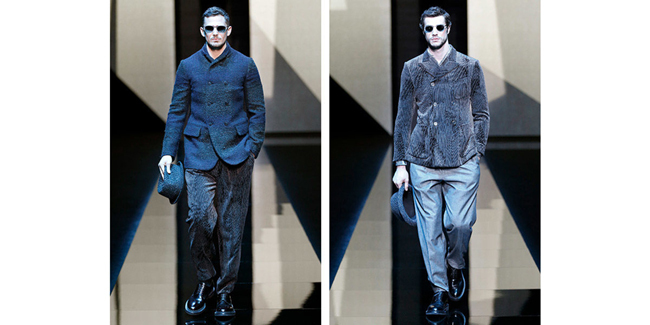 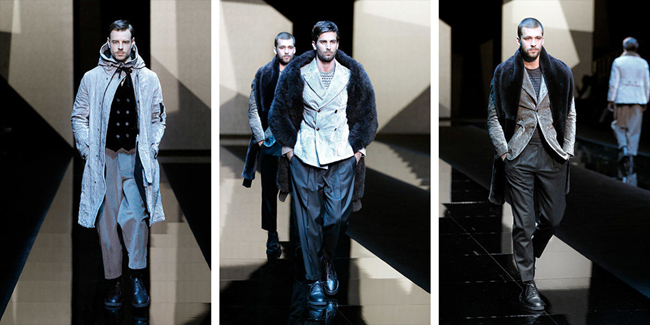 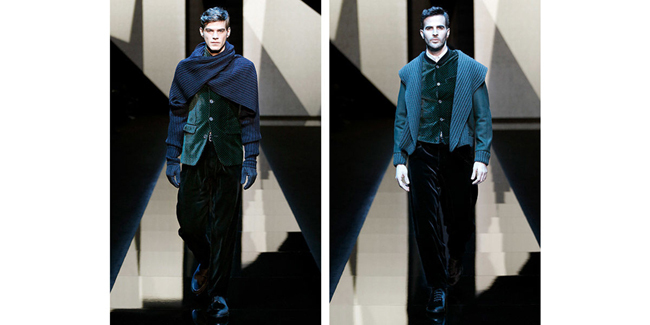 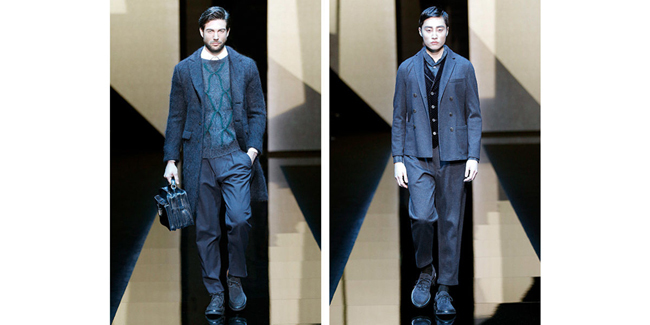 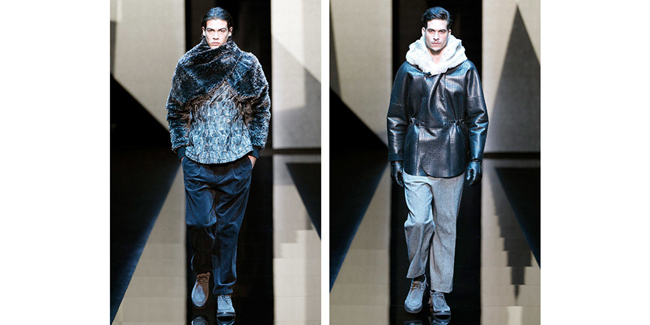 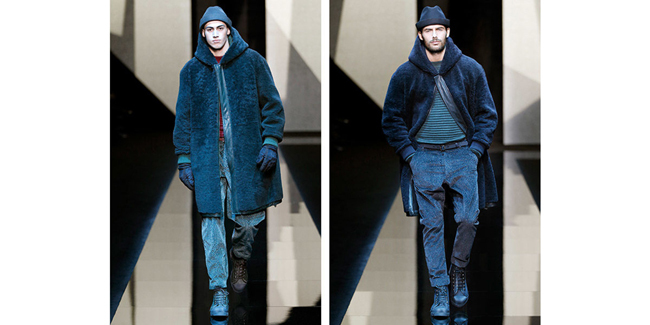 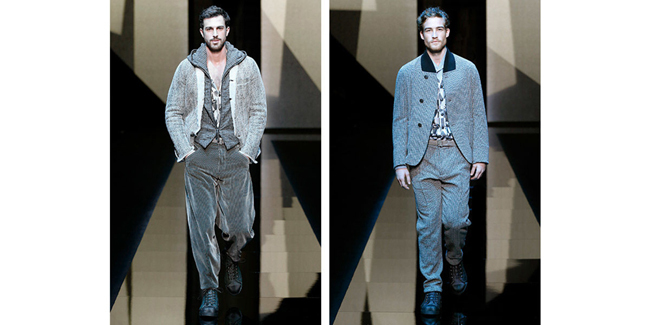 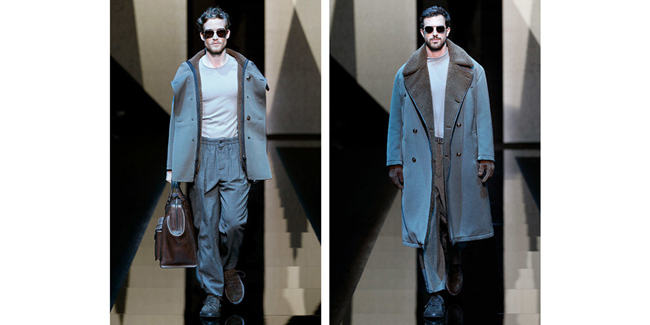 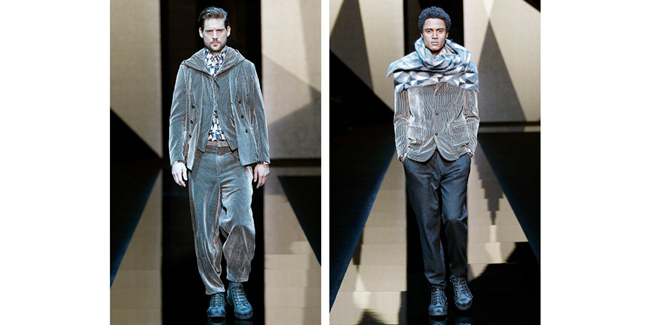 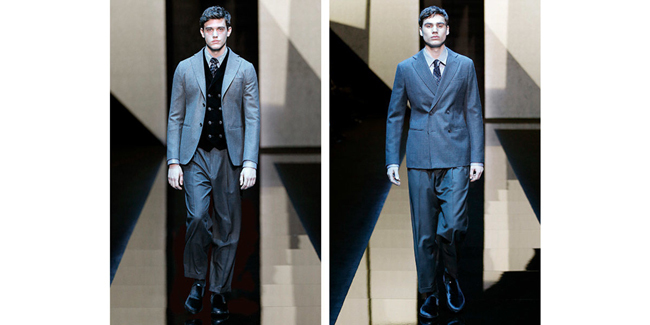 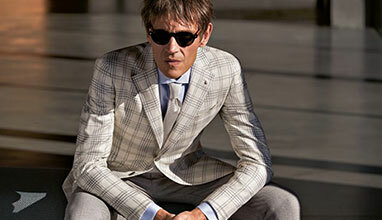 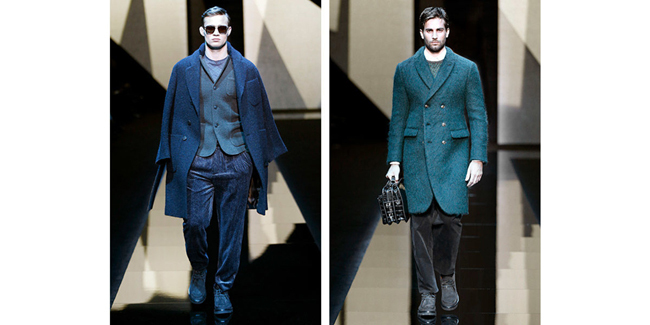 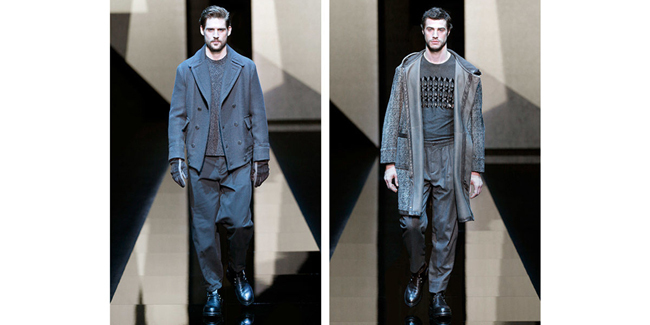 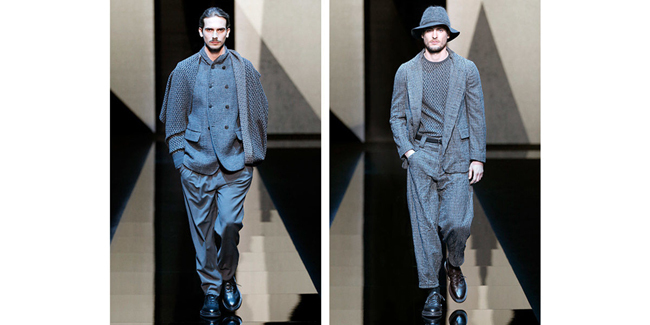 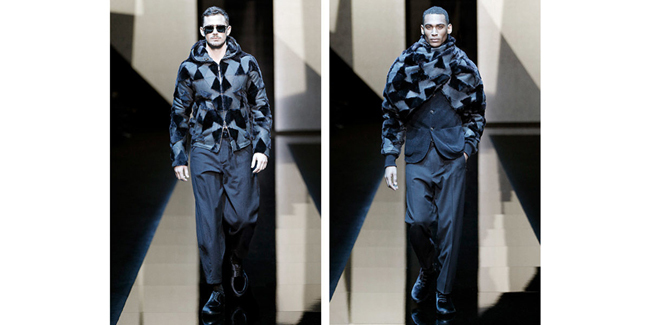 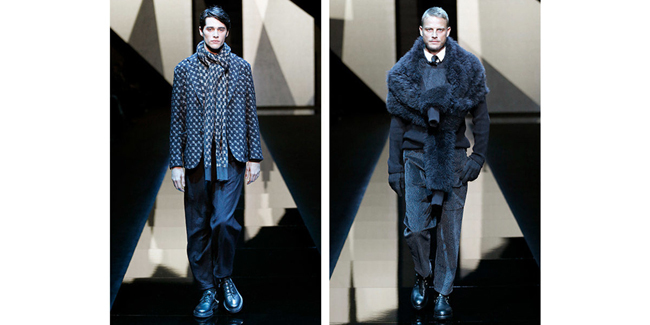 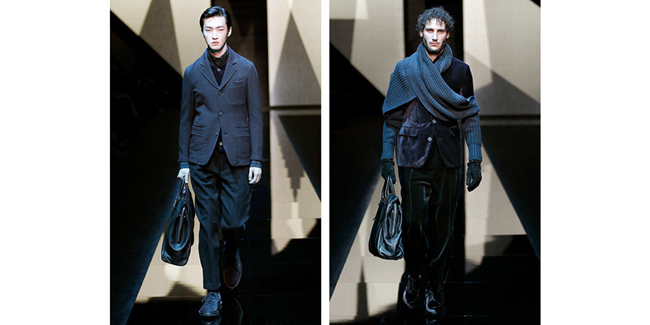 In a nearly 100-look offering, the Armani antenna commenced by broadcasting several scene-setting soft gray suits - one double-breasted, one single - cut with longish jackets and wide carrot pants. 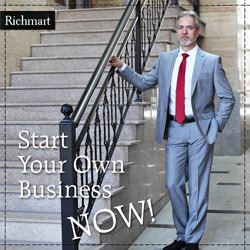 What he did then made now. 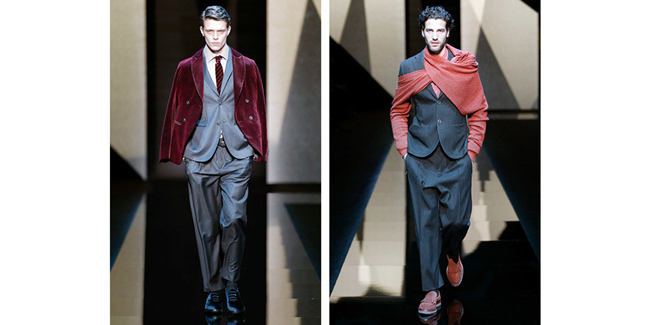 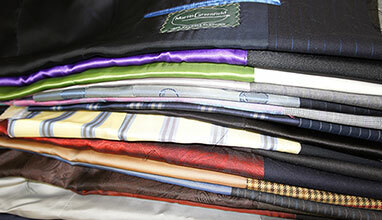 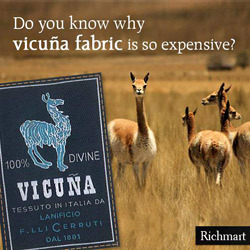 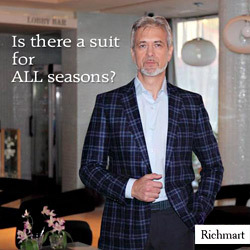 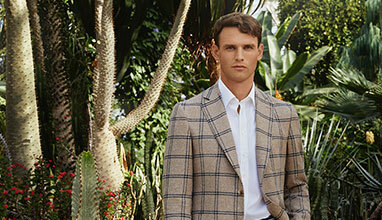 Then a double jacketing - red velvet worn over gray wool—signaled the riot of layering ahead. 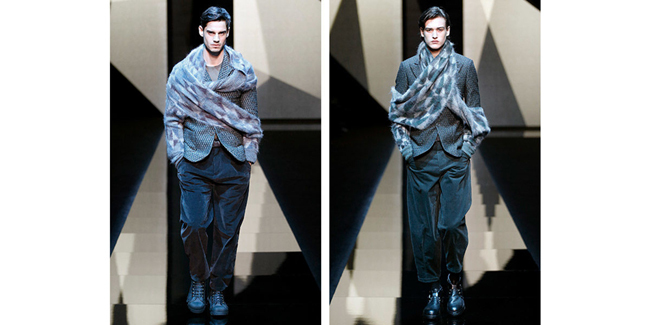 “Sleeve scarves,” two disembodied tubes connected by a membrane of differently textured knit, were used in recurring salvos as top layers (although they would be easier to wear under a coat). 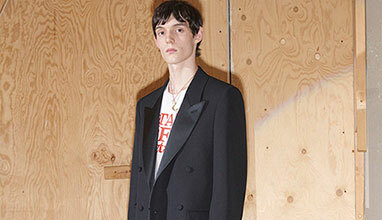 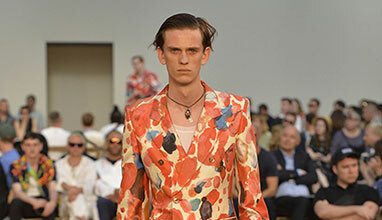 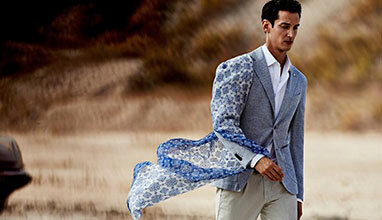 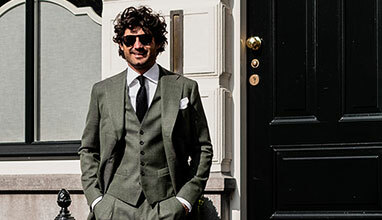 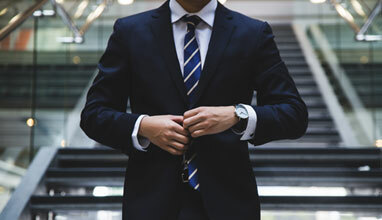 Suits were loose and comfortable in topographic textures, some offered in three-piece styles with a hooded sweater, cut from the same cloth, subbing in as an active wear update to the traditional vest.